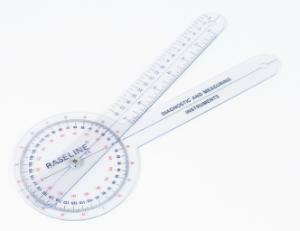 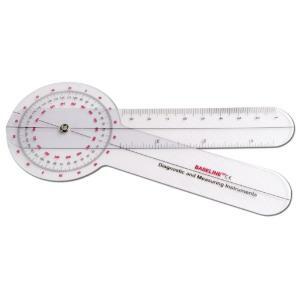 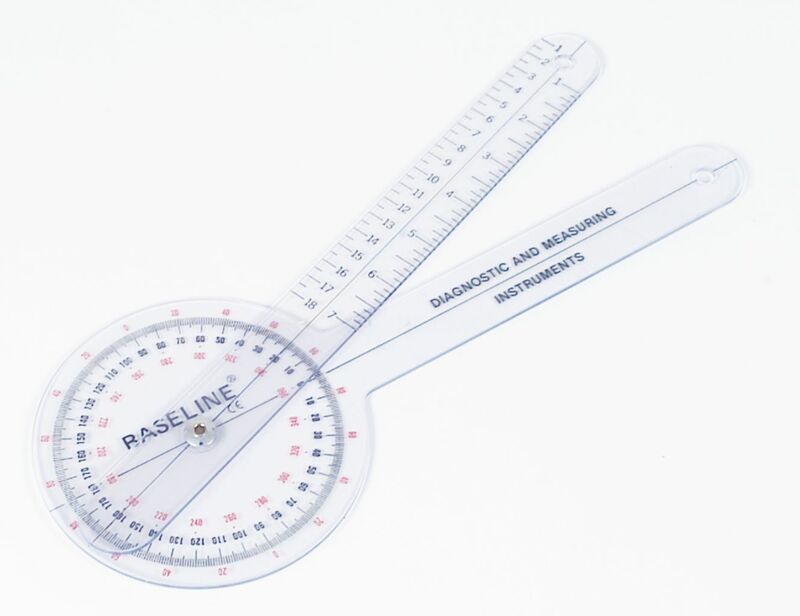 These clear plastic goniometers permit the observation of joint's axis of motion and range of motion. The 360º head has three scales calibrated for use with the ISOM (International Standards of Measurement) system. 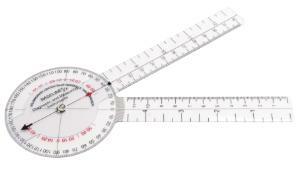 Linear scale in inches and centimeters.